← Writing Treasure Hunt – Initiating hanky panky. Wow, awkward. 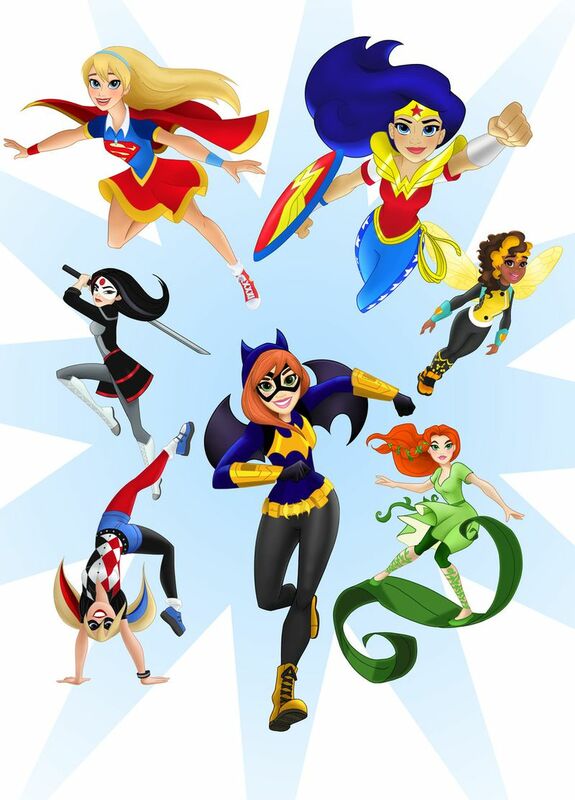 DC Comics making “just for girls” line… a good thing marketed poorly? Still, pretty cool that they’re bothering at all. Here’s a better run-down from Chuck Wendig at his blog Terrible Minds. What are your thoughts on gender divisions in the marketing of creative works? Is there a better way, or are these just a fact of life? This entry was posted in Childrearing, Reading, Thoughts and tagged Chuck Wendig, Comics, DC Comics, Girls, kids, Kids books, Marketing. Bookmark the permalink. 7 Responses to DC Comics making “just for girls” line… a good thing marketed poorly? I can smell a lot of gender-based constraints DC Comics will impose on this line, and that’s going to give girls who don’t fit into these “Just For Girls” constraints a bad time. It’s also baffling how they created an entirely new division just to tackle gender perception. They should fix any gender-related issues in the existing universe instead of quarantining the problem like it’s separate from the main canon. That’s one way of making the problem less of a problem. Oh damn, that is a depressing story 😦 I’m not complaining, and I’m probably not explaining (mansplaining?) anything everyone doesn’t already know, but in my experience this kind of shaming among guys happens well into adulthood. In my own case it’s often a matter of pride to disagree when these sentiments are voiced, or at least to let people know, in the middle of their humorous racist spree, that “yeah, so I’m really looking forward to my trip to South Korea next month. Great food over there. Their internet makes ours look like a tortoise.” Then again I kind of like conflict and awkwardness, so there’s that. The insidious problem though is that sometimes you find yourself not bothering, or avoiding speaking out because you just don’t want the agro, or they’re your best mate. Usually the recrimination later on is worse than the conflict would have been. Isn’t it sad? And I totally agree, it all continues and even gets worse into adulthood. That’s why it’s so important to cut it off when it starts, before people have these ridiculous prejudices and blindnesses ingrained in their thought processes. I’m glad you make an effort to put a stop to it. We need more people speaking out. If they were just doing a version that was intended for a younger audience in general — girls and boys both — that would make sense. But to make a “cute” version that’s intended specifically for girls… No. There should be more female characters in comics (and other creative works), but they shouldn’t be separated out. SO MUCH YES TO THIS. A kids version would have been fine. Hell, even a lack of marketing spiel at all would have been fine, because young men could have wilfully misinterpreted the target audience and watched it anyway, a la My Little Pony Friendship Is Magic. Which I totally haven’t watched any of by the way. Nuh uh. No brony here.